Starting in 1949 as a small, family-owned company, today SuperMax is the second largest razor manufacturer in the world. Products under the general brand SuperMax are sold in more than 140 countries. Innovation is the driving force behind the company that first develops disposable razors with 3 and 4 blades. The share of the brand on the world market is more than 33%. 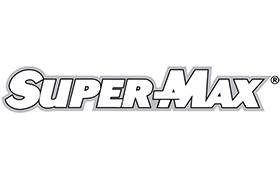 Super-Max sales began in Bulgaria in 2003, with the product range being extremely versatile - for men and women - a full portfolio of shavers and shaving and shaving cosmetics. Incosmetics JSC is an official distributor of SuperMax products for Bulgaria.